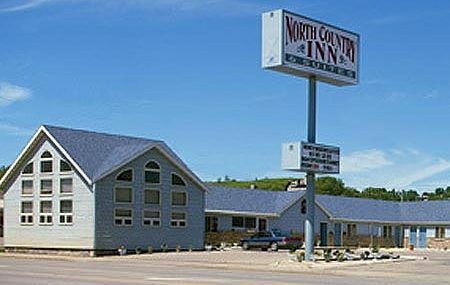 The North Country Inn and Suites is centrally located near some of North Dakota’s most appealing sites such as the Missouri River, Raging Rivers Waterpark, Fort Abraham Lincoln State Park, Huff Hills Ski Area and Sibley Nature Park. 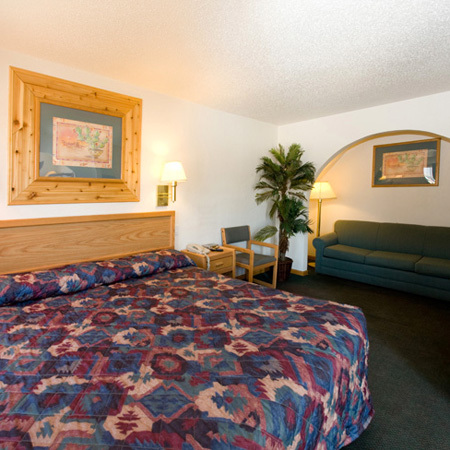 This Magnuson Hotels affiliate offers guests a Continental breakfast served from 7:30 am to 9:30 am, free high-speed wireless Internet access, free HBO, in-room coffee, free parking with room for large vehicles, fax/copy service and small dogs are accepted with an additional ten dollar charge. Minimum age to check-in to the hotel is 21 years of age. Free continental breakfast, free high-speed wireless Internet access, air conditioning, alarm clock, cable TV with extra stations, coffee maker, free local calls, hair dryer, microwave, mini-fridge and wakeup service. Iron and board may be available upon request. Requests are not guaranteed, and will be granted based on availability at check-in. King Room with Jacuzzi Nonsmoking. King Room with Jacuzzi Nonsmoking. Free continental breakfast, free high-speed wireless Internet access, air conditioning, alarm clock, cable TV with extra stations, coffee maker, free local calls, hair dryer, microwave, mini-fridge and wakeup service. Iron and board may be available upon request. Requests are not guaranteed, and will be granted based on availability at check-in. 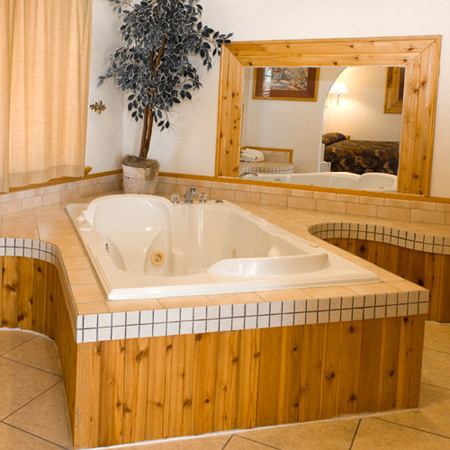 King Room with Jacuzzi Nonsmoking. 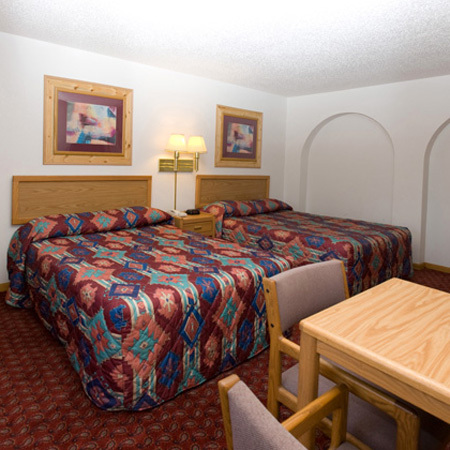 Free continental breakfast, free high-speed wireless Internet access, air conditioning, alarm clock, cable TV with extra stations, HBO, coffee maker, free local calls, hair dryer, microwave, mini-fridge and wakeup service. Iron and board may be available upon request. Requests are not guaranteed, and will be granted based on availability at check-in. 1 King Bed Nonsmoking. Free continental breakfast, free high-speed wireless Internet access, air conditioning, alarm clock, cable TV with extra stations, coffee maker, free local calls, hair dryer, microwave, mini-fridge and wakeup service. Iron and board may be available upon request. Requests are not guaranteed, and will be granted based on availability at check-in.